First report: No SUV for our family thanks very much! 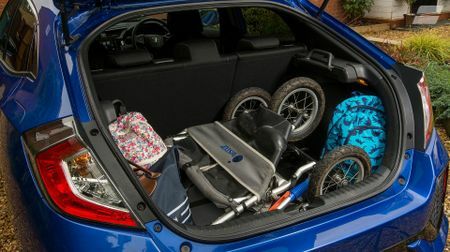 In my first report, published last month, I stated that the reason we chose to run the Civic for the next six months was to see if this small family car – as it’s traditionally known in the eyes of the motor industry – could indeed cope with the needs of a small family; mine to be precise. Well, I’m happy to report that, so far, the Civic is doing a thoroughly respectable job. Obviously, practicality is the key here. Felix (3) and Bess (1) may only be only small, but as any parent will testify, the smaller the child, the larger the amount of stuff that accompanies it. That’s why so many people instantly gravitate towards an SUV or an MPV at the mere mention of impending parenthood. 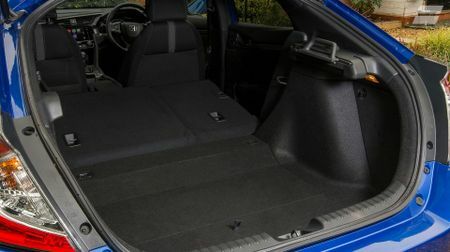 Truth is, though, that the Civic’s boot has as much space as we really need; at 420 litres, it’s one of the biggest in the compact hatchback class. Our double buggy represents the bulkiest piece of child-related paraphernalia we own, and there’s enough room for that (we don’t even have to detach the front wheel first, which we do in a lot of other cars) along with a couple of change bags and an assortment of coats, shoes, toys and whatever else needs to come along for the ride. Granted, the everyday stuff is enough to completely fill the space available, so if our outing requires us to take anything more in the way of cargo (buckets and spades for the beach, presents for birthday parties, etc), then the rear footwells get called into load-lugging action. There’s also a sizeable storage compartment concealed under the floor of the boot that adds another 58 litres worth of space, but it’s a resource that we’ve let go largely untapped. Why? Because you have to lift pretty much the whole boot floor to gain access to it, and that means removing all those heavy pushchairs and bags, and who can be bothered with that? The Civic’s fabric load cover is a bit weird, too, because it’s mounted on one side of the loadbay rather than at the back of it. 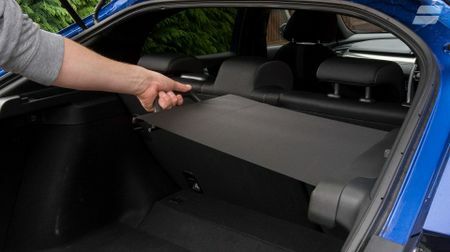 However, you do get used to it, and it does mean that you don’t need to remove and store it on those rare occasions that you drop the rear seats to maximise loading capacity. That’s very easy to do, by the way, with one catch on either half of the split backrest, and they also lie pretty level. Unfortunately, there’s a step in the floor whether the seats are up or down, and that can really get in your way when you’re loading heavy or bulky items. Which, as I’ve said, we do pretty frequently. The passenger compartment is a bit of a mixed bag, too. 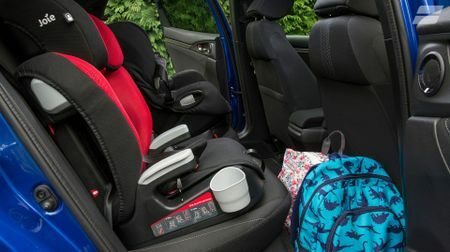 There’s lots of space in the rear seats, easily enough to fit a pair of bulky child seats in without having to shove the front chairs too far forwards. However, the car’s high shoulder line and small rear windows (not to mention the sombre colour scheme) means the rear of the cabin can feel a little dark and gloomy, and it also means that the kids can’t see a whole lot of the outside world. The Isofix child seat mounting points aren’t ideal, either, because the anchor point is buried in a miniscule gap between two seat cushions, meaning it’s really hard to see and even harder to get at with the clasp thingy. I might be on my own here, but I spend quite a lot of time moving child seats between different cars, so this is a regular source of annoyance. So, all in all, when it comes to family-friendliness, the Civic isn’t exactly perfect, but it is (just about) adequate. But here’s the million-dollar question: when you have a young family, is ‘adequate’ really good enough? Family life can be challenging enough on its own, so don’t you want your family car to make your life as easy as it can possibly be? For example, do you really want to be loading things into the boot with Tetris-like accuracy so that they’ll all cram into the space available, or do you want a boot that’s big enough that you can just throw it all in and have done with it? Don’t you want to have enough cargo space that you’re not constantly questioning whether or not everything will fit, and so that you don’t have to unpack the entire boot just to retrieve one item tucked away at the back? I’d argue, having lived without, that you do. Sure, it means buying a bigger car, which comes with penalties in manoeuvrability, fuel economy and tax, but whatever the penalty, it’s worth paying for an easier life. So while the Civic is an excellent car in a variety of ways, there are certainly better options out there for families, even small ones like mine. Turns out that prospective parents aren’t bonkers for snapping up SUVs after all. Maybe that’s the way to go next time. One thing’s for sure; if my little family gets any bigger, I won’t have a choice.